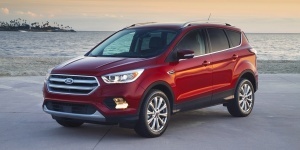 The Ford Escape comes powered by a choice of four-cylinder engines with optional 4WD. 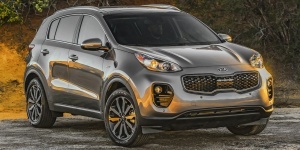 The Escape offers space for five, sporty looks and excellent handling. 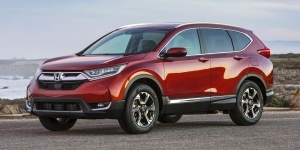 The Honda CR-V comes powered by 4-cylinder engines only and features optional all-wheel-drive. With seating for five, it offers a flexible interior and comprehensive safety equipment. 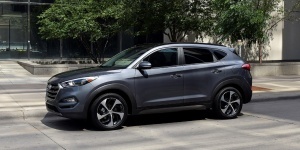 Powered by fuel-efficient 4-cylinder engines, the Hyundai Tucson seats five and is well appointed, roomy, and pleasingly fun to drive. All-wheel-drive is an option. 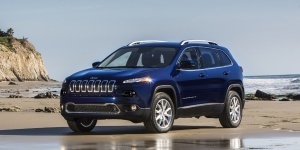 The Jeep Cherokee is a compact SUV featuring a choice of 4- and 6-cylinder engines with optional all-wheel-drive for excellent off-road capabilities. The Cherokee seats up to five in a spacious interior. 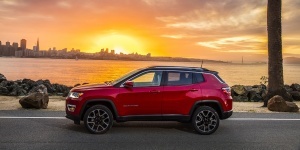 Powered by a 4-cylinder optionally driving all wheels, the stylish Jeep Compass seats five in a spacious cabin and provides off-road capabilities that stand out in its class. 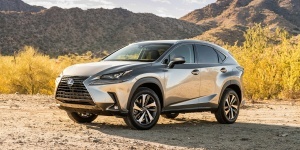 Powered by a choice of turbo and hybrid 4-cylinder engines, the Lexus NX combines unique looks with a spacious and well-built interior for five. All-wheel-drive is an option. 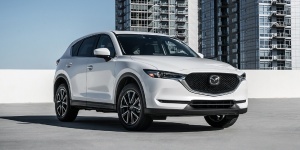 The Mazda CX-5 impresses with sleek styling, excellent fuel economy, comfort, versatility, and good road manners. Power comes from a frugal 4-cylinder engine, optionally driving all wheels. 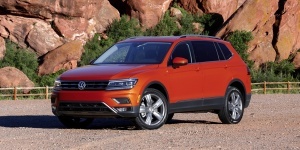 The Volkswagen Tiguan offers a fine powertrain with optional all-wheel-drive, a smooth ride and sporty handling, and a spacious and high-quality interior.